Take to the waters on a kayak. No better way to get a better view of Mulranny! 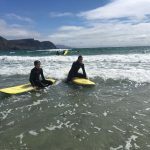 The Mulranny Park Hotel offers introductory kayaking for those with little experience but would like something a bit different. 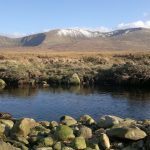 The Bunnahowna River situated 2km east of Mulranny is classed as a grade 3 kayaking river. Graded by Irish White Water. A seldom run river with continuous action from start to finish. Predominately boulder garden in nature with the odd drop and slide thrown into the mix. One of the best grade 3 runs in the country.